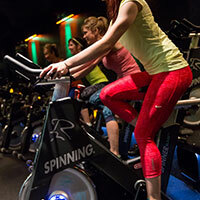 Below you will find general information about each of our studios. Click the pins on the map above for quick access. We are on the far south end of Alliance Town Center in the Sam Moon center, closer to N Tarrant Pkwy than Heritage Trace. From Fort Worth, take I-35W North. Take Exit #62 towards N. Tarrant Pkwy. and continue through the light. Turn right into the 1st entrance at Alliance Town Center and left in front of Sam Moon. Sunstone will be straight ahead. From Southlake/Keller/Roanoke, take TX-170W or FM-1709 to I-35W South. Take Exit #63 towards Heritage Trace Pkwy/N Tarrant Pkwy. Use the 2nd from the left lane to make two lefts turns onto the service road. In 0.3 miles, make the 1st right towards Sam Moon and left into Alliance Town Center. Sunstone will be straight ahead. Parking is always available in front of the studio! Located on the inner Northeast Corner of Gaylord and Parkwood, we are behind the Target Shopping center. We share a wall with the Irish Rover (British Pub) which is located on the corner of our parking lot. 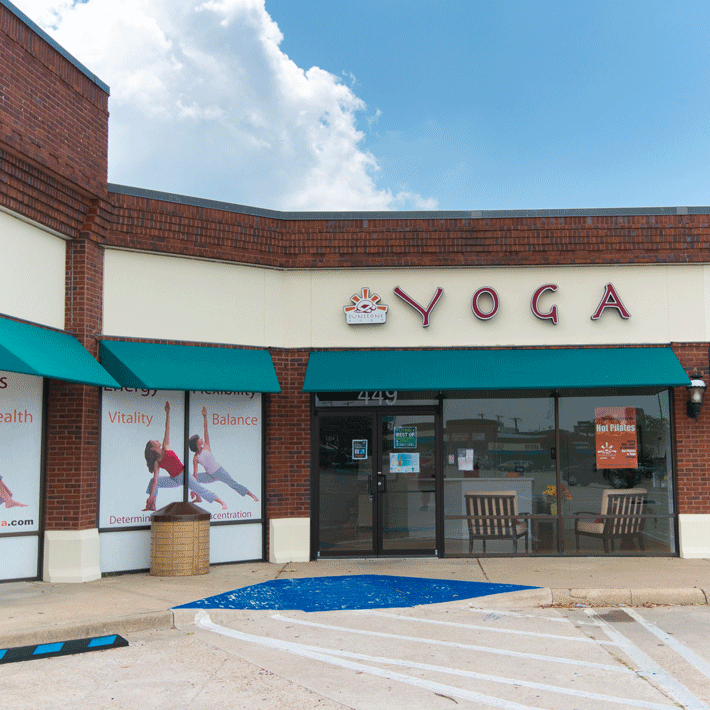 We are directly North of the Stonebriar Mall, across the street (Gaylord Parkway). You can see the urban loft apartments located directly to our right. Our storefront faces Parkwood Blvd. Parking available in front of studio. We are located on the Northwest corner of Eldorado and Hardin behind 7-11, facing Eldorado but you can’t see us from the street. We are next to E-Care, the same shopping area as McDonald’s. We are 2 lights north of 121 (Sam Rayburn Tollway) and 4 lights west of 75 (Central Expressway). Please park in front of the studio or on the south side of E-Care. 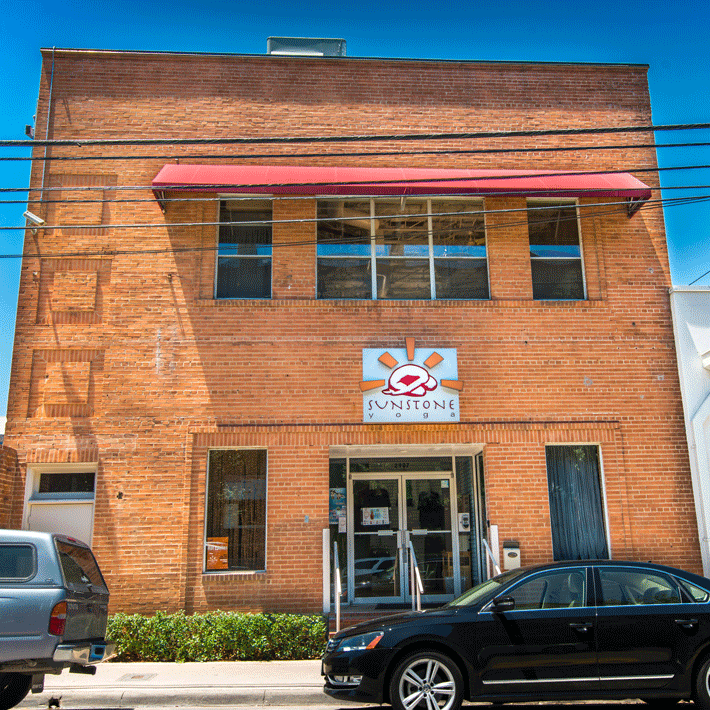 Also, please be mindful of our neighbors - The Mutt Puddle and Uptown Pet Loft. Please leave the parking spaces in front of their shops - to the left of the handicap spaces - open for their clients. Thanks! We are in the Keller Town Center, near FnG Eats and Tom Thumb. From Southlake, take FM-1709 west towards Keller. Turn left on Town Center Ln, continue through 2 stop signs. Sunstone Cycle will be on your left. From Fort Worth Alliance area, take I-35W to FM-1709 east towards Keller. Turn right on Town Center Ln, continue through 2 stop signs. Sunstone Cycle will be on your left. From NRH/Watauga, take Rufe Snow Drive north towards FM-1709. Just before you get to FM-1709, turn right in front of Tom Thumb towards Town Center Ln. Turn Right on Town Center Ln. The studio is on the left. We are at McArthur and 114, on the Northeast corner next to Staples. This is in the same shopping center as Champ's and Cadillac Ranch. The studio faces south across 114. 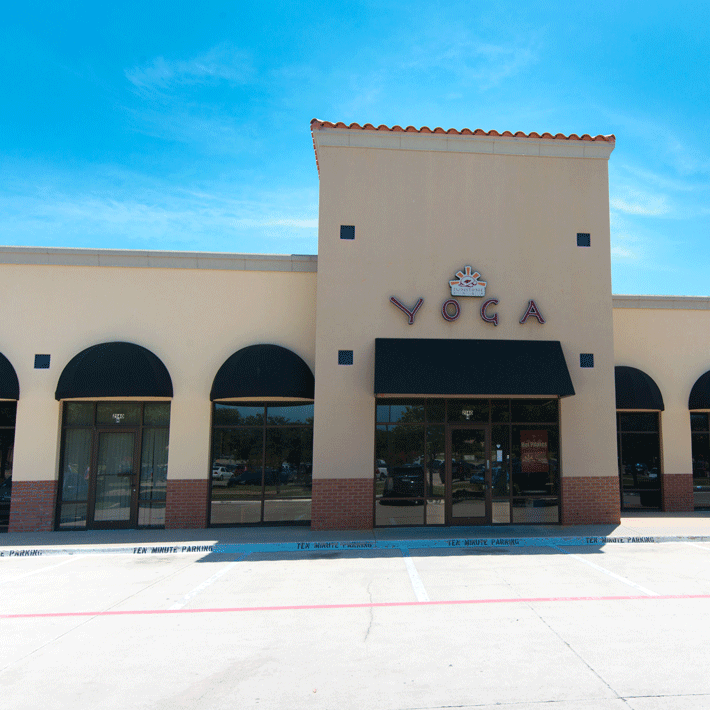 We are located facing Jollyville Road at Hwy 183 and Braker Lane, in the same shopping center as HEB. If you are looking directly at HEB, we are on the right-hand side, around the corner by the massive Live Oak trees. If you get to the freestanding urgent care center, you've gone too far. There is plenty of parking directly in front of and around the studio. If these spots are full, there is a large lot in front of HEB for more parking. 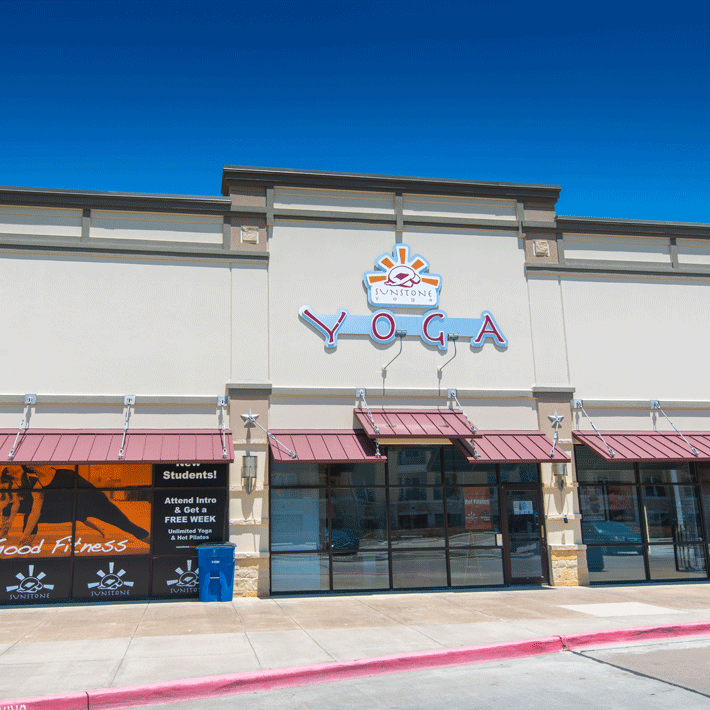 Located at Flower Mound Road and Morris (Morris is also called Gerault), we are in the Kroger shopping center next to Le Peep, facing North. 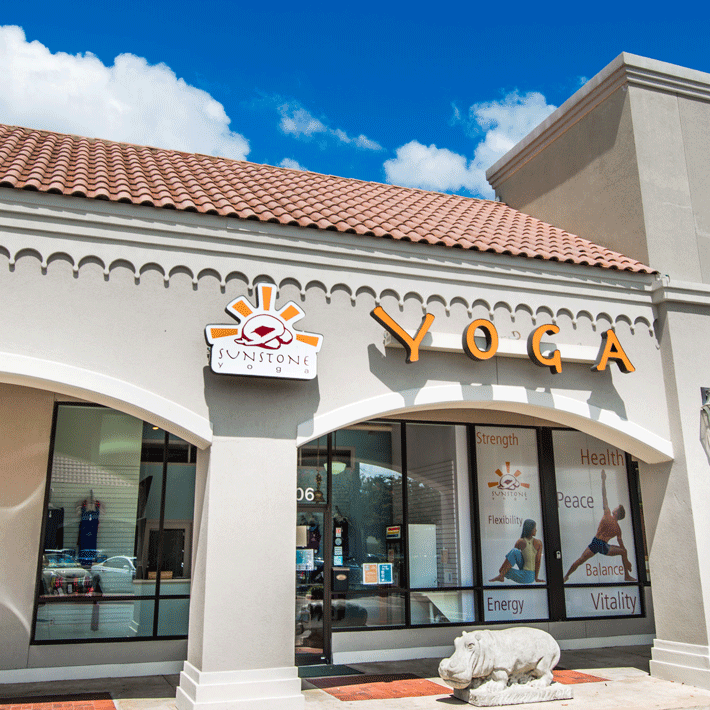 We are located on the Southwest corner of Preston and Forest, facing Preston, a couple of stores down from CVS Pharmacy. We are on the same corner as the bank. We are on the northeast corner of Park and Preston, facing Park, located directly behind Chipotle. We are across Preston from Whole Foods Market. We have plenty of parking in front of the studio. From the Dallas North Tollway, turn East on Belt Line Road. Take a right on Montfort (heading South) and turn left into the parking lot. We're two doors down from La Madeleine. Our storefront faces West. From Dallas take 30 East. Take the Ridge Road exit. The studio will be on the right in the same shopping center as 24 Hour Fitness and Office Max. There is plenty of parking in front of the studio. We are located on the corner of Skillman and Live Oak streets. From 75, exit Mockingbird and drive East. Turn right on Skillman. The studio will be on the left after you pass the light for Richmond. It is next door to Pizza Hut. Parking is available in front of the studio. Additional parking is located in the back. When entering from the back door, press the white button to the right of the door and a Team Member will buzz you in. We are in the Kroger shopping center opposite The Kings University at Gateway. 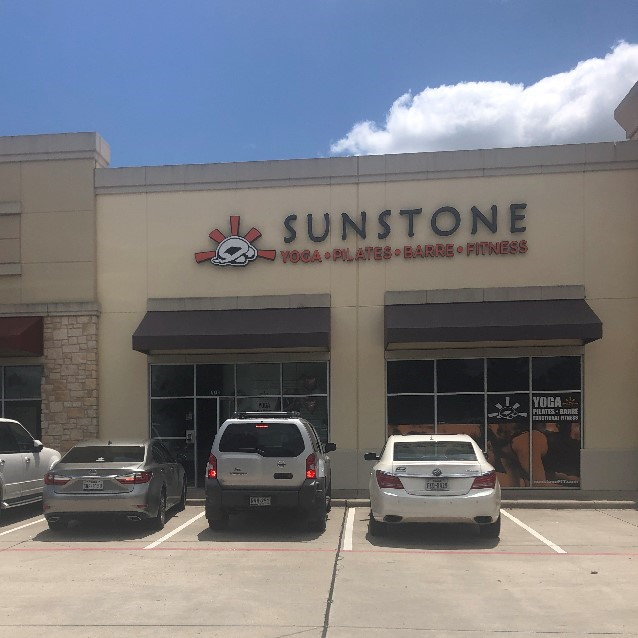 We are ¼ mile east of the Southlake Town Center on Southlake Blvd (1709) between South Village Center Drive (light) and Kimball. From Fort Worth take 121 North to 114 West. Take 114 West to the Southlake Blvd/FM 1709 Exit. Turn left on 1709 and we will be a little more than a mile West on Southlake Blvd (1709) on your right-hand side, just past the light at Kimball. You will see the Panera Bread and Wendy’s on your right. Turn in to that shopping center we are located between Radio Shack and the America Airlines Credit Union. From Dallas take 114 West to the Southlake Blvd/ FM 1709 exit. 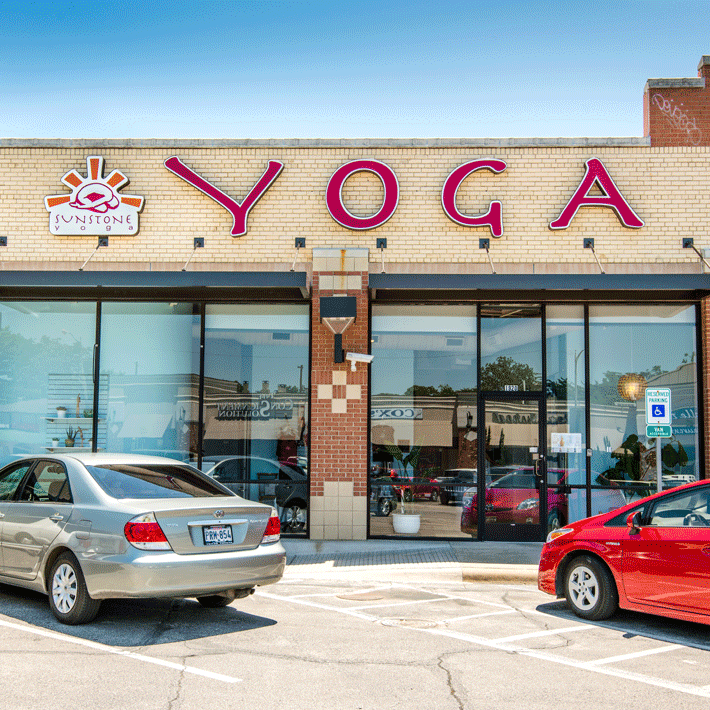 Turn left on 1709 and we will be a little more than a mile west on Southlake Blvd (1709) on your right-hand side. Just past the light at Kimball. You will see the Panera Bread and Wendy’s on your right. Turn into that shopping center we are located between Radio Shack and the America Airlines Credit Union. From I-35 W and Trophy Club areas west take 114 East. Take the Kimball Avenue Exit. Turn right on Kimball then take the first right at the light on to Southlake Blvd. (1709). Stay in the right lane and turn right into the Kroger shopping center by Panera Bread and Wendy’s. If you reach the Village Center Drive light you have gone too far you can turn at that light into the Kroger Shopping Center. >From Keller area take 1709/Southlake Blvd to South Village Center Drive Light. Turn Left at the light and Right into the Kroger Shopping Center. 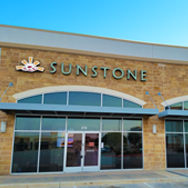 We are located 1/4 mile east of the Southlake Town Center. Parking available anywhere in the shopping center. Please do not use the 10 minute parking spots right in front of the building. 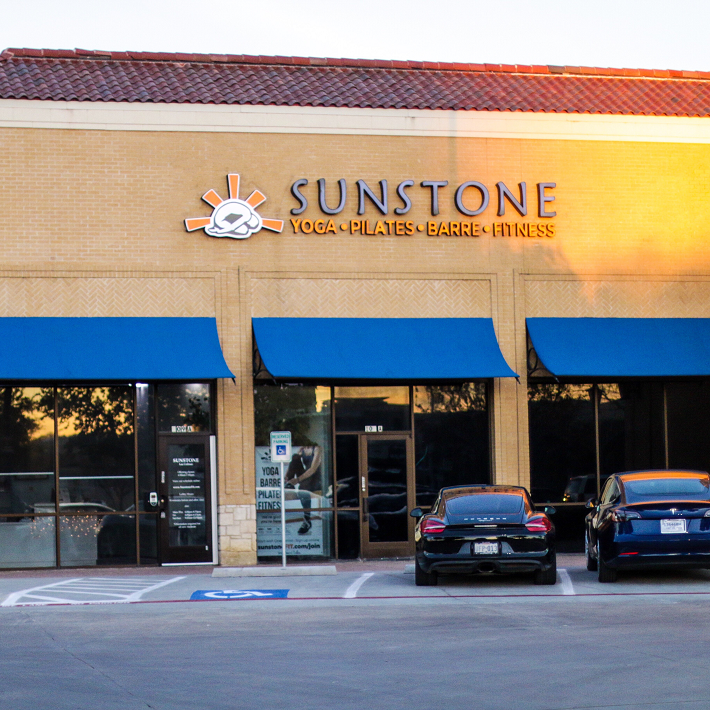 SunstoneFIT Uptown is located on Routh St. between McKinney and Cedar Springs Road. From 75, you would take the Lemmon exit, head west on Lemmon Ave. and take a left on Turtle Creek Blvd., then left on Routh St. when you pass the Wells Fargo on your right. The nearest office complex to us is the Quadrangle and we are located next door to a restaurant called Kung-Fu Saloon. Kung-Fu Saloon is located caddy corner to the Wells Fargo at the corner of Cedar Springs and Routh, directly across the street from a bar called 6th Street. Parking is always available on the street as well as the parking lot adjacent to the building. During busier times the Routh street entrance to the parking lot is blocked off. This parking lot can then be accessed from the Valet entrances on either Cedar Springs or Howell. 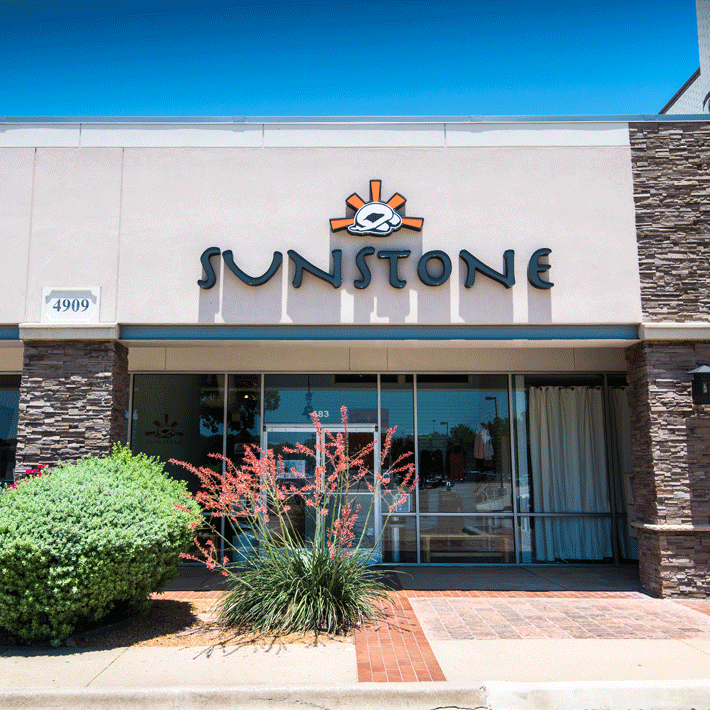 Please let the attendant know that you are going to Sunstone, and they will not charge you to self-park. 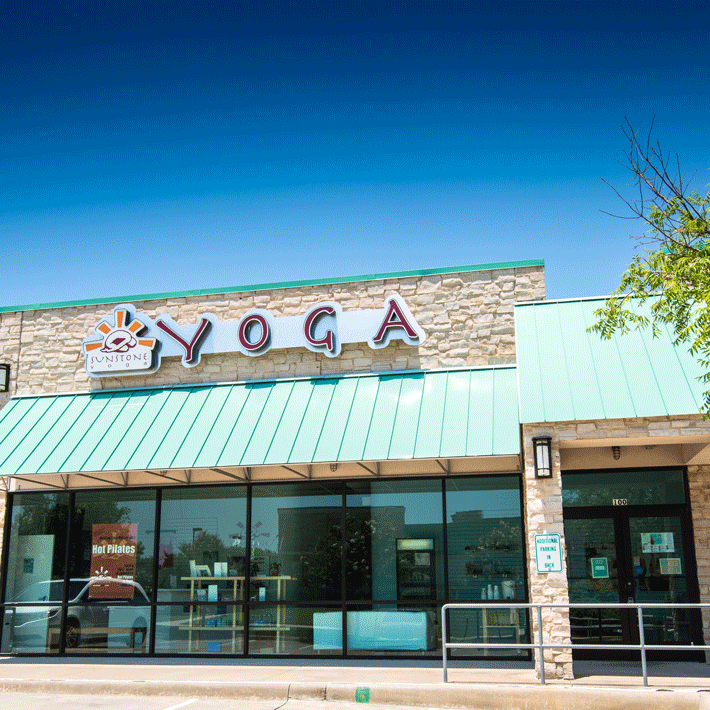 We are located near Beltline Road and the Dallas North Tollway, near the intersection of Beltline and Midway Roads. Going West on Beltline turn left onto Beltway Drive. Follow the road around and we are across the street from the Hampton Inn. Going North on Midway Road, turn right onto Beltway Drive. Follow the road around and we are across the street from the Hampton Inn. You will see a blue building sign with the number 4. We are in the alley to the right of the sign. You can park in any of the spots around the building.